Weird falling-block puzzle game with mahjong tiles. Imagine mahjong crossed with Columns, and that's essentially what this is. You need to arrange the pieces to create mahjong hands, so if you aren't already familiar with the rules of competetive mahjong, this is pretty much unplayable. There's also some weird elements of pachinko/pachi-slot mixed in, and a cute anime girl dressed up in a bunch of different outfits. It's pretty obvious the target audience was middle-aged men. This is actually the fourth version of this game. The original Raku Jongg was designed by student Naoki Sano for a game design competition held by ASCII (now Enterbrain) in 2000. 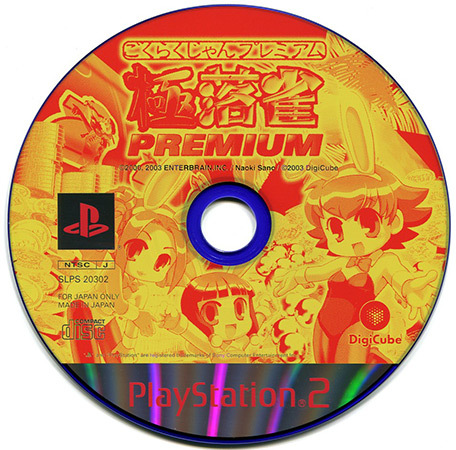 It took the top prize and was turned into a commercial release for PC, PS1, and WonderSwan. 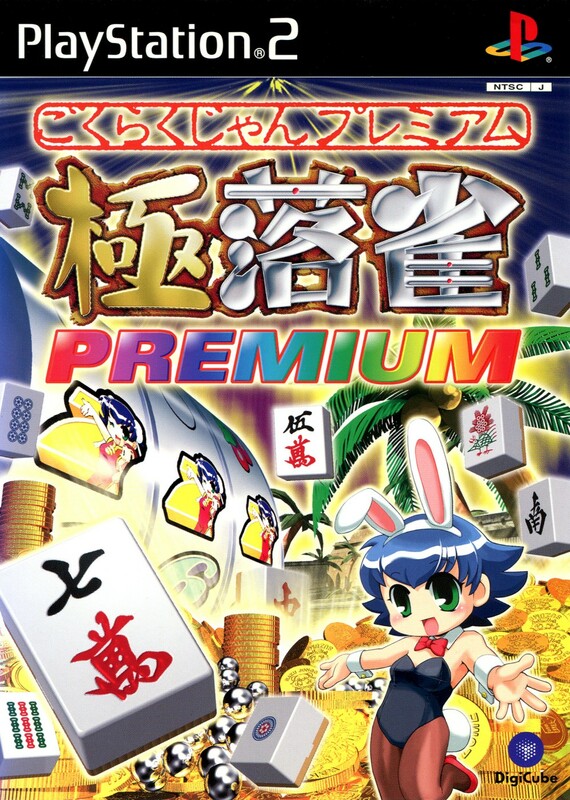 There was a sequel, Gokuraku Jongg for PCs that added a bunch of new modes, 3D graphics, and deeper rules. 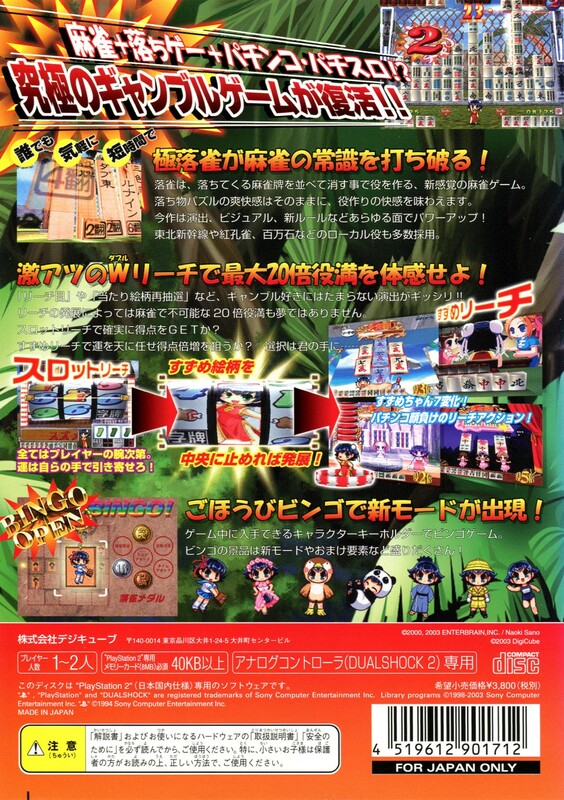 They further added a bunch more stuff for this PS2 release. And now you know more than you ever needed to about a puzzle game you'll never play!